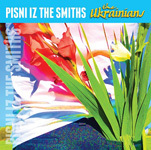 This 4-track EP is very unusual and interesting, as the covers are sung in... Ukrainian! The songs were re-released in 1995 as bonus tracks on the North American re-release of their album "Kultura" on True North Records. "Koroleva Ne Polerma" was also found on the 1994 album "Vorony" released on the Green Linnet label. Live versions of "Batyar" and "Koroleva Ne Polerma" are also found on their 2001 live album "Drink To My Horse!" (Zirka Records ZRKCD 1).